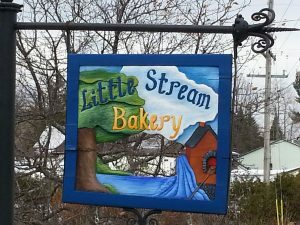 Post 136: The Little Stream Bakery - A Snails Life and Lovin' it! We were on our way to dinner at our son’s place the other day and we passed a small bakery in Perth, Ontario. We had passed it several times before, but we were always onroute somewhere and didn’t have time to stop. This time we stopped to take a look at what they had and possibly pick up some desserts for dinner that night. 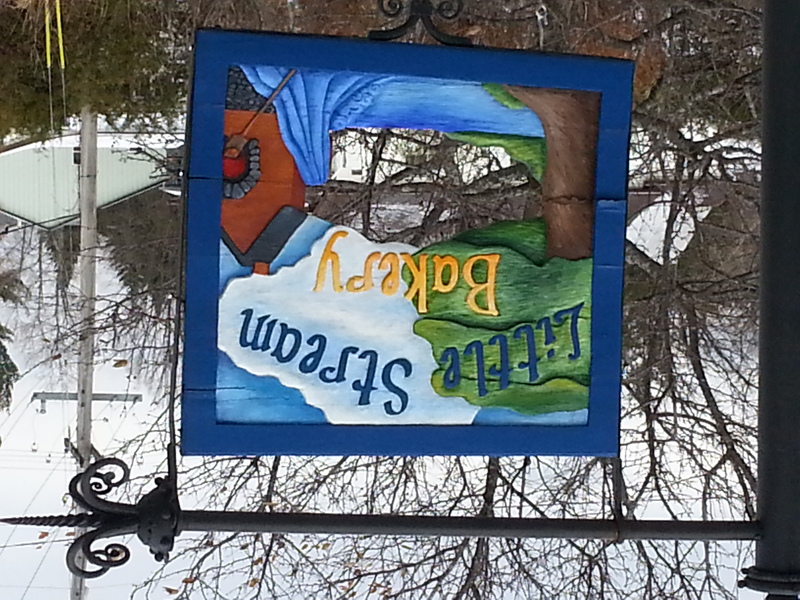 At first, as we stood outside the bakery, the bakery looked kind of small – almost like a elaborate roadside stand. In this case, don’t trust your first impressions! Their sign was unique and attractive. 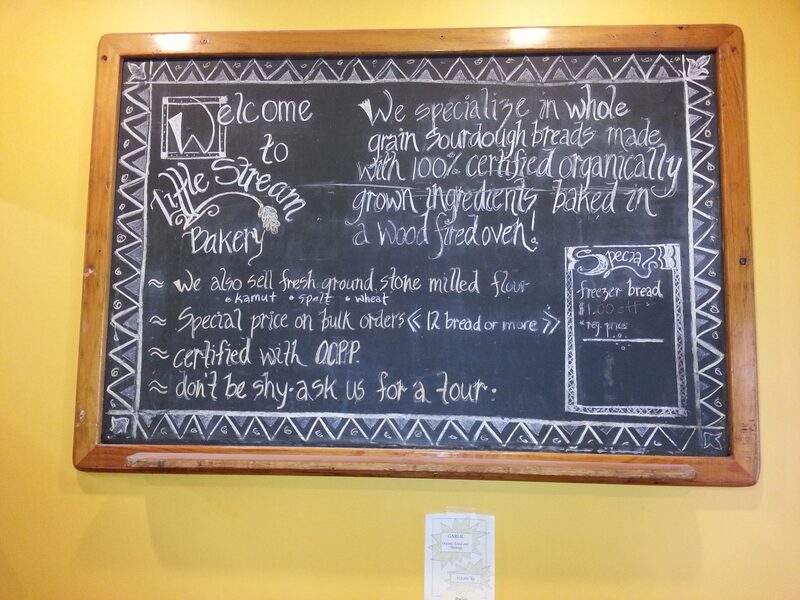 Once we entered the building we were standing in the small retail portion of the bakery. There were a few items on display, but not vast quantities. As we glanced around we started to notice the finer points. Their menus were hand drawn and very pleasing to the eye. 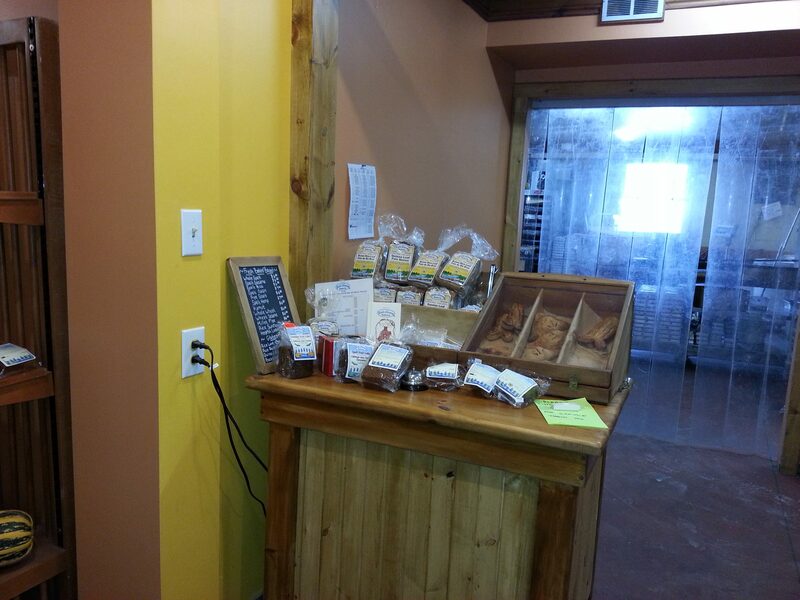 The store looked rustic – yet classy. Even though it was a bit cool inside (winter is just around the corner), there was a certain warmth generated by the decor. After a few moments, one of the staff came out from a back room and greeted us – right away we felt welcomed. Something in the way she spoke and her mannerisms made us feel at home. She explained that they don’t do any baking on Saturdays – so they didn’t have any fresh bread. They did have day old frozen bread. Also had some fresh pastries and some local product. She went on to explain that their speciality was whole grain sourdough breads and rustic pastries. These were made with organically grown ingredients and deep well water. We inquired about the frozen breads and she offered to show us what was available. Following this helpful lady, we went to another room that contained several freezers. There were several different types of breads available. We explained we were looking for something unique. After explaining a bit about the options and the different tastes we could expect we decided on a Spelt Hemp Bread and a Spelt Sesame Bread. She mentioned that these breads are ‘heavier’ than traditional breads. As we walked back to the retail store, we commented on she must get cold during the day, she then explained that she spent most of her day in the kitchen and it was much warmer with the wood oven and asked us if we wanted a tour of the ‘kitchen’. When we entered the kitchen through the PVC strip curtains (clear lengths of vinyl) the difference in temperature was immediately apparent. We went from chilly to nice and warm – a warmth that only wood fireplaces seem to deliver. 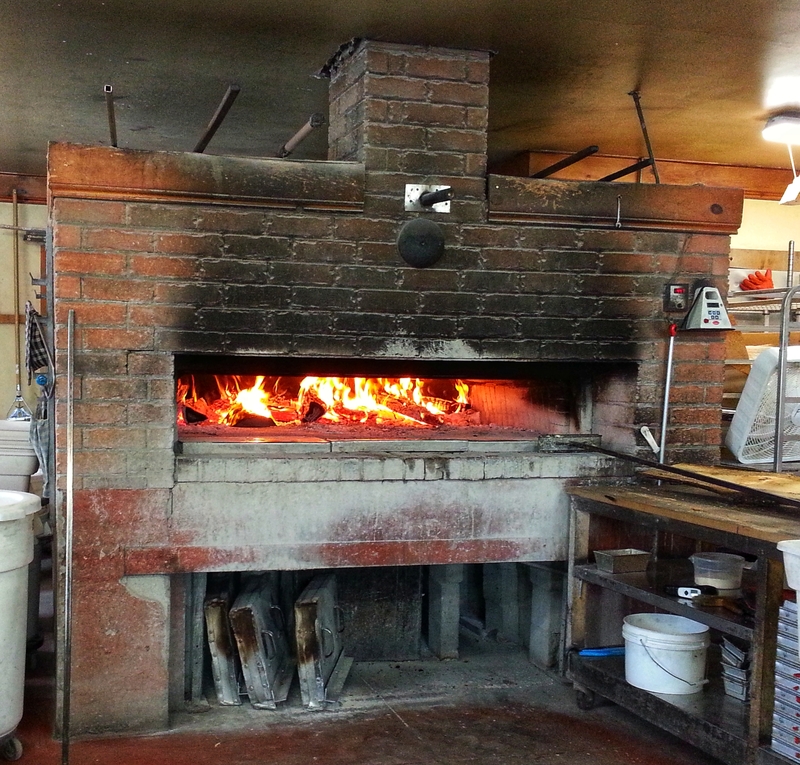 Immediately upon entering the kitchen, the first thing that caught our attention was the wood-fired brick oven! This is where the magic happens. Today (Saturday) they were bringing the oven up to temperature (it takes about 140 KG of firewood to get it to temperature). Once it reaches the correct temperature the coals are raked out and the oven ‘mopped’ clean. Then the oven sits for a couple of hours letting the heat soak into the bricks. The bread is then loaded and baked in a sealed, steamy environment. 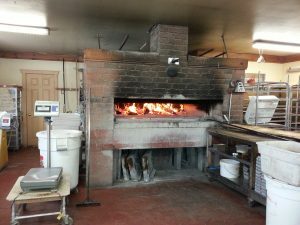 The wood used to fire the oven is waste slab wood from a local sawmill. Post 90: Joshua Tree Still a WOW!! That looks like a great place to visit-YUM! !